I’ve not done more than fiddle with Time Machine but I don’t see myself using it. It’s nice as an ornate undelete program but for backup I prefer the SuperDuper way of doing things as it’d be a lot quicker to get up and running again from one of those backups than it would a Time Machine one. You can’t boot from a Time Machine backup, for one thing. I don’t like Stacks in their current form and I hope that someone finds a way (or Apple provides one) to turn them off. They’re not very useful for anything with more than a few files inside and the functionality simply isn’t as good as the previous way you could put folders on the dock. There’s no way to browse nested folders so, for example, if you make a stack for your application folder there’s no way to launch Football Manager (installed in a subfolder) without going through the Finder. The enhanced Spotlight is much faster. On Tiger I’d get a beachball for maybe a second when I entered a query but now it starts showing results instantly and has numerous usability tweaks like being able to press enter to run the first application match. Also being able to look up words in the dictionary or do simple calculations will come in handy. Safari is far faster now, as is Mail. It’s fast to the point that I’m considering a switch to Safari as my main browser (I’m a Camino fan) as soon as I can find an ad-blocking solution that I like. In fact things generally feel snappier in Leopard, as I’ve noticed when using filters or scaling images in Photoshop. Intel Mac users in particular will really want to upgrade. Clicking twice to rename a file now excludes the extension from the selected text by default. You can send files (including multiples, which was impossible without extra software in Tiger) to a Bluetooth device from the right-click menu in Finder. There’s now a shortcut to the wallpaper options if you right-click the desktop (finally!!). It shows whether or not a wireless network is encrypted in the menu. 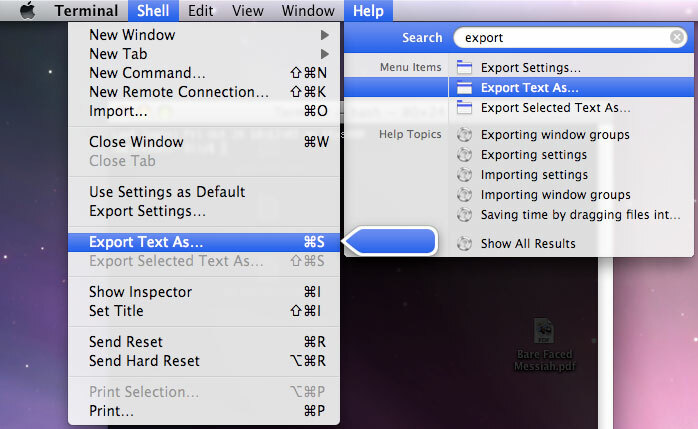 As well as the excellent help search functionality – the first searchable help that I’ve seen which actually works – searching for an option in System Preferences can show you it in the sub-menus rather than dumping you in the relevant pane and leaving you to find it. It’s certainly worth the £58 higher education price (don’t tell them that I left uni) that I paid when you bear in mind that that’s only a couple of quid less than the RRP of the Windows Vista Home Basic Upgrade.